The Chancellor’s 2011 Budget speech in the House of Commons extends a public speaking tradition from the 1720’s when Sir Robert Walpole presented the first annual national budget. His 2011 Budget speech, timed at 56 minutes long, was well within budget. The shortest was a speech by Benjamin Disraeli timed at 45 minutes in 1867 and the longest…four hours 45 minutes by William Gladstone. An epic that would undoubtedly have had several members of the House asleep at its conclusion. 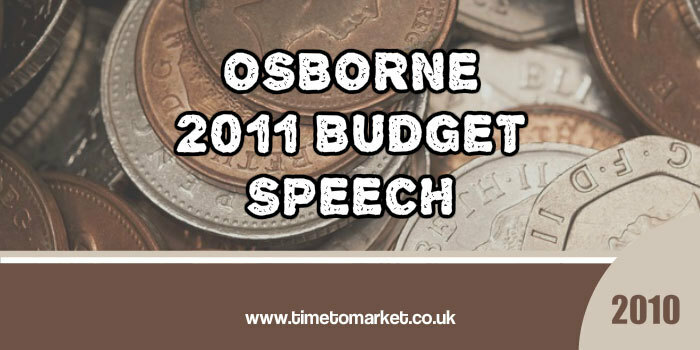 Yesterday’s speech maintained the continuity of George Osborne’s speeches since his emergency budget speech of 2010. Short and sharp sentence construction, a smooth pace and an improved delivery. His beginning was a classic. Referencing last year’s speech he contrasted last year’s budget as an emergency budget and this one as a reforming budget. A neat contrast…even if it stretched belief somewhat. This is a Budget built on sound money. A Budget that encourages enterprise. That supports exports, manufacturing and investment. That is based on robust independent figures. A Budget for making things not for making things up. We gambled on a debt-fuelled model of growth that failed. All countries have to steer a course between two central risks. A Britain carried aloft by the march of the makers. So instead of Chancellors fixing the figures to fit the Budget, they now have to fix the Budget to fit the figures. It has been known for Chancellors in recent years to rattle these off at great speed in the hope that no one will keep up. Borrowing to fund the deficit this year is now set to come in at£146 billion, below target. Then fall to £122 billion next year. Then £101 billion the year after. Then £70 billion in 2013-14. It was understandable. Borrowing will fall. So we will change the regime to narrow the differential between these lower cost brands and the rest, and between cigarettes and hand-rolled tobacco. This will reduce smoking and improve our nation’s health. Right! This was a political line aimed at the Chancellor’s critics in the British Medical Association. Critics who want to ban everything that’s dangerous but want public financing for their industry. Right! His conclusion reconfirmed his earlier points rather succinctly after 55 minutes or so. So this is our plan for growth. To drive our nation forward. That is how we will create jobs and support families. Using repetition and his characteristic listing style he also managed more than a hint of metaphorical allusion with fuel, tank and drive. A confident speech from the Chancellor. You can discover plenty of public speaking tips with our regular series of posts, podcasts and training videos. 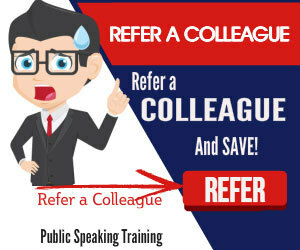 And, when you want to boost your public speaking skills even further, please don’t hesitate to get in touch. 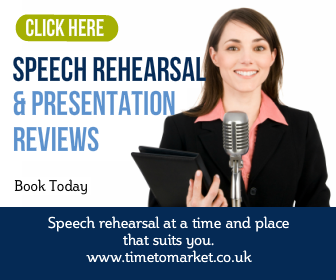 Because a well-timed course or coaching session could be just the tonic you need for public speaking success. Of course it’s not fair. It’s aenohtr of the tories way of ripping the hard working public off. They should try and make themselves clear all the time but it’s them all over. Instead of trying to help the needy they take away and help the rich by reducing their corporation tax. None of their policies have helped the public.